Kids need outdoor fun, but finding the right space can be difficult in the Las Vegas area. You need a surface that requires little maintenance, yet provides a safe and comfortable atmosphere where kids can run around. Artificial grass provides a cushiony, durable solution to turn your yard space into the perfect play area. For the health and safety of your family — as well as your water bills — contact the team at Desert Greenscapes to find out about artificial grass play areas. Kids prefer it! Compared to sand, gravel, and other alternatives, children have more fun with artificial grass. It’s safe for playtime, durable for sports and games, and simply feels and performs better than the other stuff. Lasts for decades — long after your children have grown up! Any synthetic turf can claim some of these benefits, but Desert Greenscapes provides the best results with premium materials and professional installation. Our artificial turf creates a safe and enjoyable environment for your play area. Unlike some our competitors, we use lead-free materials with advanced technology that provides cushion and comfort. While the kids enjoy year-round fun and activities, parents can enjoy ongoing savings on water bills. Our artificial grass not only helps the environment by saving water, but it’s also recyclable. You can turn playtime into a teachable moment by explaining to your kids how their artificial turf prevents environmental damage. From early childhood activities to outdoor fun as they get older, artificial turf will be there looking beautiful and performing wonderfully. 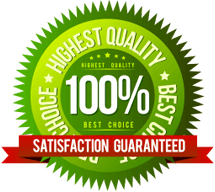 We have built a reputation as a premium artificial grass provider in the Las Vegas area by offering high-quality products with excellent customer service to deliver a personalized solution for your home. From basic play areas to complex playgrounds, we can design and install an artificial grass play area that suits your needs and brings happiness to the kids. Contact us at Desert Greenscapes to find out more about artificial turf for play areas or schedule a free in-home consultation.